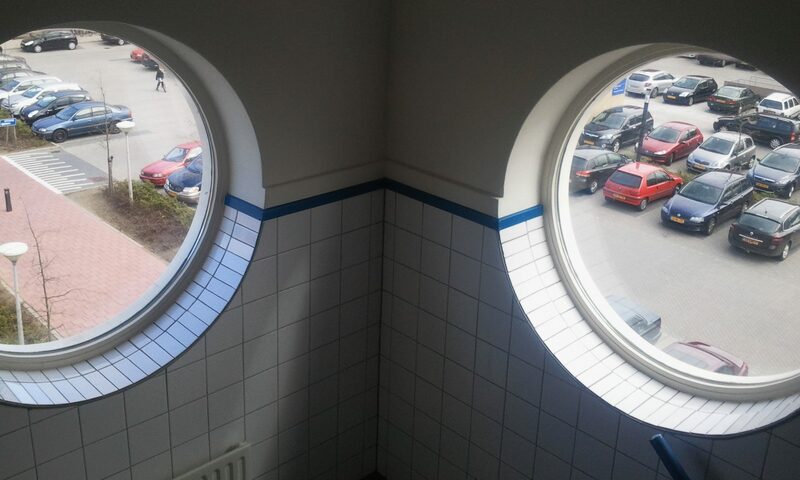 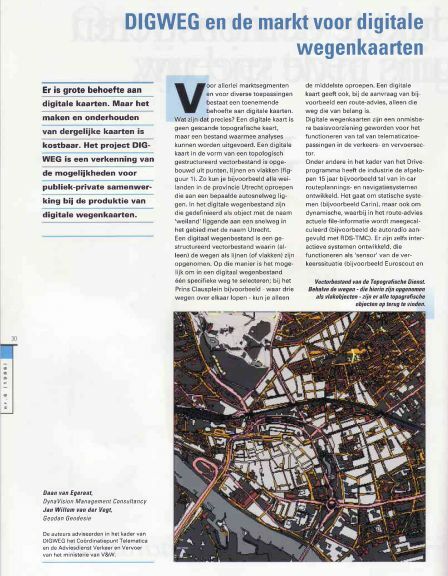 Recognising the key role played by digital maps in transport telematics applications, the Dutch Ministry of Transport has initiated a market-oriented public-private partnership to bring GIS to the benefit of the travelling public. DigWeg- short for DiGitale WEGenkaarten (digital roadmaps) – sets the agenda for geographic information sharing into the next century. 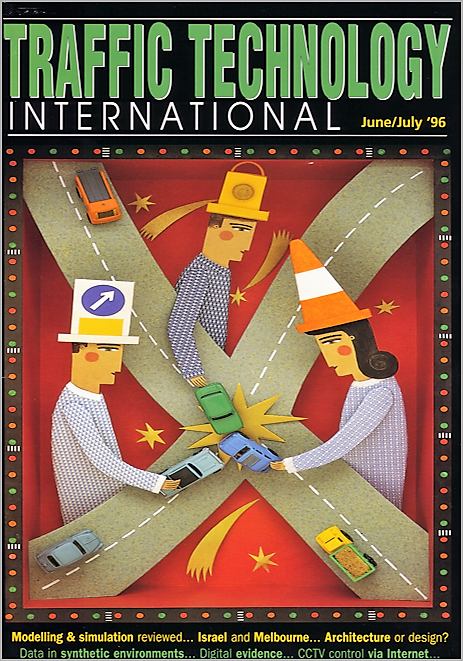 D.H. van Egeraat, in: Traffic Technology International, juni/juli 1996.